In over 25 years of working with contractors, there is one number that most people I meet don’t know. And getting that one number wrong is killing their profits! What sparked this post was a recent call with my new client Joe. We were barely on the phone for two minutes, when Joe launched into a rant about how he had a ton of work, was bidding like crazy, staying on top of his crews, making sure that change orders and billings were getting done, and yet, his bottom line and bank account was not showing the return for all this hard work. I could hear the stress in Joe’s voice as he explained how he’d been working 60 hours a week, barely having time for his family, and utterly exhausted and frustrated. After asking several more questions about his business, and the nature of his work, I asked Joe how much he marks up bids for overhead and profit. I started there because bidding is the place where you begin making, or losing, money on projects. This was part of Joe’s problem. I explained to Joe that unless you have a large company, your overhead percentage is never that low. I know this because in the past 25 plus years I’ve worked with hundreds of contractors, with revenues ranging from $500K to $75M, and I see their numbers. The first rule of making money is knowing your numbers. And many people who think they do know what their overhead breakeven percentage is, are calculating it wrong. I showed Joe that the number on the profit and loss statement that is often the place where a lot of contractors get tripped up and use the wrong number in bidding. 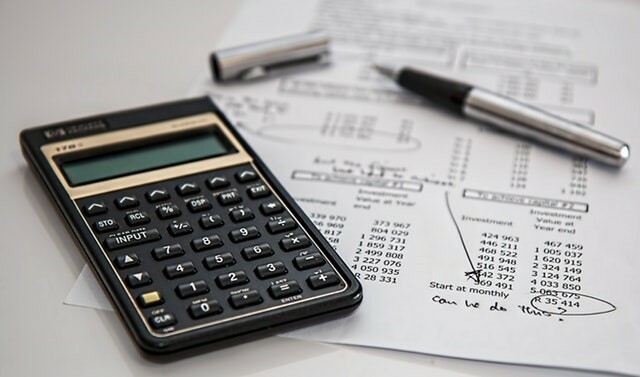 If you look at the percentage next to the number on your profit and loss statement that says “expenses” or “overhead expenses” that is NOT your overhead breakeven percentage. In Joe’s case, this number showed 23.84%. Then I showed Joe how to calculate his REAL overhead breakeven percentage. That number was nearly 37% – a dramatic difference. Your TRUE overhead breakeven percentage is calculated by taking your total overhead costs for a period (12 months) and then dividing that number by total cost of goods sold for the same period. That is your accurate overhead breakeven percentage. Below is a link to an article that walks you through this formula in more detail. I totally appreciated what Joe was saying – maybe your thinking that too. So, let’s talk about how to cover those costs when bidding. Include things like project coordination, accounting, temp facilities, etc. into your general requirements. Have project management as a line item on the bid – projects don’t manage themselves. Do this even if you as an owner are the project manager. At some point, it will be someone else. If you have transportation costs, fees, vehicle costs or other indirect costs like tools, incorporate that into your bid as well – either as a line item, as part of the cost of labor, or in general requirements. Mark up labor base costs for not just taxes, benefits and insurance, but also vacation, profit sharing, bonuses, tools, phone, vehicle, payroll fees, etc. This is what I told Joe to do as his labor makes up most of his cost of goods sold. Those are just some different ideas to give you of ways that you can show in your bid line items specifically related to covering your overhead cost so that it’s not just this big number on the bottom of your proposal. 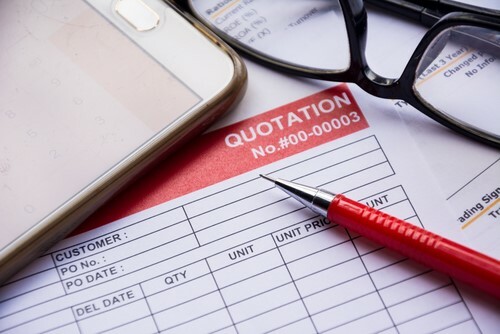 Have a strategy for covering your overhead costs when bidding is the first step growing a more profitable contracting business. It all starts having the right numbers. What we haven’t talked about here is profit and marking up for profit, which was the second conversation Joe and I had, but I’ll leave that for the next post. In the meantime, go get my article “Go Beyond Breakeven” and calculate the real overhead breakeven percentage for your company, and stop selling yourself short on bids. As always, if you have any questions or comments to add to the topic – please drop a comment below or feel free to reach out to me on Facebook or LinkedIn. I’m happy to help and very interested to hear how others get on with implementing these tools in their business. p.s. if you’re finding this valuable, check out my book, The Profit Bleed. For a limited time, it’s FREE – you just pay shipping and handling. Vicki Suiter helps people see their businesses differently, then gives them the tools to do things differently. Since beginning her business in 1990, Vicki has helped hundreds of companies achieve the kind of success they never dreamed possible. Today, in addition to consulting, Vicki is an in-demand speaker at industry conferences nationally and internationally. Vicki’s articles and opinions have been widely shared in print and across the web. She is also the author of the book “The Profit Bleed” How managing margin can save your contracting business. Bought the book, thanks, still not rich, boo. Wait a minute, I AM rich in my friends,family, my career and associates, and the energy I still feel on the way to work, in the dark, thinking about how to do it “better, faster, cheaper.” Thanks for all of your focus and wisdom Vicki, I am slowly assembling a workbook too, “The Homeowner’s Complete Project Manual: How to Upgrade, Remodel, or Add to Your Home, Explained in Simple Terms,” the accumulated lessons of my long career in development. We should talk, you need a follow-up, and I need your advice. My sincere best to you and to your publishing success! Love this Greg! Your manual sounds like a great project that will serve people well. I look forward to connecting. Your video is nicely done. Congratulations on releasing your book! I bless you and your business with continued success along with ongoing joy!